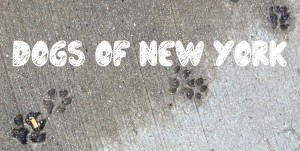 A few months ago I started a project called Dogs of New York (DONY). I’m taking photos of the dogs and dog owners I meet in the Big Apple, and sharing excerpts of our conversations. All my photos are unstaged, based on chance encounters I have walking the streets of NYC. DONY is about real people and real dogs in their everyday environments. They’re the ones you don’t hear about in the news, and they’re the stories that don’t get published in memoirs. I was inspired by Humans of New York and how it made individuals out of the 8.3 million people who call this place home, while showing the humanity that binds us together. I created DONY to celebrate what makes each human-canine bond unique, while also showing how our love of dogs is universal. 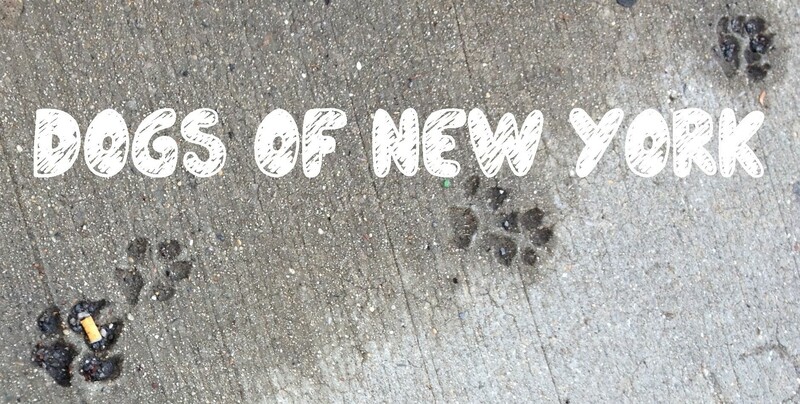 DONY is not the first project about dogs in New York City. In 2012, WNYC released Dogs of NYC, where they compiled dog licensing records from the Department of Health and plotted their breeds on a map. It’s an interesting project but only ~ 10 % of NYC dogs are licensed, so most dogs were not included. I wanted DONY to go beyond breed and showcase each dog as an individual. Anyone who has lost a dog knows they can never be replaced, even by another dog of the same breed. Each one is unique, and I wanted to capture that individuality. I also wanted DONY to include the human half of the human-canine bond. If you look at dogs without looking at people, you get an incomplete picture. It’s been remarkably easy to connect with dog owners. It sounds funny, but dogs are like cigarettes. If two strangers are taking a smoke break outside a bar, it feels totally normal to have conversation. It’s like that with dogs, too. If you’re a dog lover, you can connect with anyone over that. People love talking about their dogs no matter what they look like, where they live, or what kind of dog they have. I’ve met dogs of many breeds/mixes, ages, and sizes. Their names range from Darla to Danger. Some dogs have monogrammed collars, others get walked on cable cords. I saw a new puppy go on his first leash walk outside, and I watched a 12-year-old dog fall asleep at his owner’s feet. The dog owners I’ve met are equally diverse. Some are black, some are white, some are shades in between. Some are retired, others are in kindergarten. I met someone who works on Wall Street and someone who cleans it. Yet in all this diversity, the human-canine bond is universal. One day I met a woman who bought a seven-acre property upstate so her dog “would have a country home to visit on the weekends.” That same afternoon I met a toothless man who saved money for his dog’s spay surgery “so she won’t get the cancer.” Though these people came from different backgrounds and their dogs looked nothing alike, the bond came through just the same. When I started DONY, I only wanted photos where both the person and the dog were looking at the camera. It was a lofty goal, so I ended up with tons of outtake photos. As I looked through these outtakes, I noticed that when people gazed at their dogs, they all had the same “look”: a combination of love, pride, and a genuine connection with their dog. I was capturing it by accident, but it was everything DONY represents. This string of photos is my favorite. You see a variety of appearances, in both the dogs and the humans, and I took these photos in four different neighborhoods. But the “look” on the people’s faces is the same throughout. That’s what DONY is all about. The most important lesson I’ve learned from DONY is to keep a blank slate. We make so many assumptions about people based on appearances or labels, and we do the same thing with dogs. Appearances are only part of the story and labels can blur our vision. You can’t see the full picture without getting to know people and pets as individuals, by approaching them with a blank slate. The second most important lesson? Some dogs pee on shoes, so don’t wear flip-flops.